This week we began rolling out our newest transit app for the New York metropolitan area. This soft launch gives users a sneak peak before we officially launch in December, and is available in the App Store for iPhone and the Google Play Store for Android. 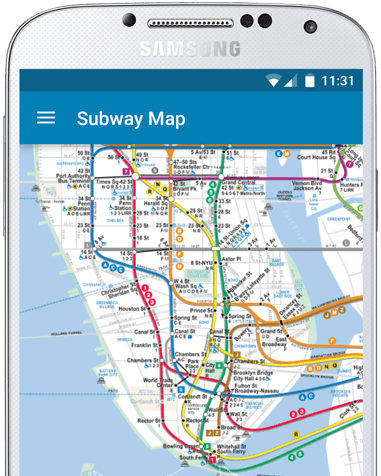 NYC Subway & Bus offers all of MTA's transit data for Subway and bus in one app, with added features such as nearby interactive mapping, official Subway maps, favoriting of stations and stops and more. Check out the app's official site at nycsubwayapp.info. Stay tuned for new updates coming shortly.